We are established in 1989. 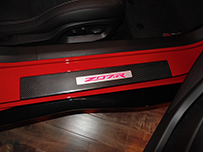 For more than 26 years, our company have been producing top quality auto accessories all the way. We carry diverse product lines and keep adding more and more new innovative products periodically. Now we concentrate mainly on Corvette Products including C7, C6, C5 & C4, from interior to exterior to under the hood. 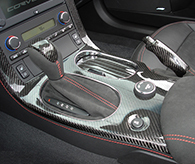 We make Genuine Real Carbon Parts, Matching GM Carbon Parts (Hydrocarbon), Nappa Leather/SuperDeluxe Alcantara/Carbon Leather Parts, D-Shape Steering Wheel, Prestige SuperDeluxe Sport Seat or UltraDeluxe Seat (the most comfortable seat on the market and it can still reuse the side airbag and all the existing features), Illuminated Door Sill….etc, just to name a few. 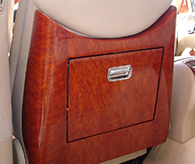 We are also strong in Genuine Wood Trim for Mercedes W140 and many other high end cars & trucks such as Range Rover and Range Rover SPORT. 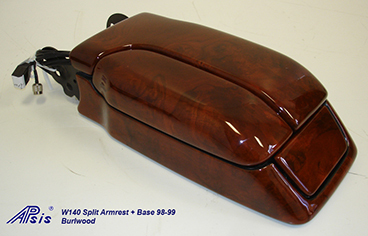 We also make many Restoration Wood Parts for Mercedes old timers. You can see the before & after pictures on our web. Very impressive! Basically we can do carbon or wood for any parts any model you want as long as you can provide the cores for production. For all the products we make, we always go for extra mile to ensure it’s the BEST quality on the market. You will find many of our products are very unique that you can’t even find it anywhere else. The best way to learn more about our products & service is to go to the Customers’ Testimonials on our website. Once you read through it, you will have very clear picture what kind of products & service you will expect to get from us. A quick browse of our site will show you just how diverse our products are. Give us a shot and you won’t be disappointed. For the Lamination Carbon or Wood products, we can custom make for any parts you want as long as you supply us the cores. 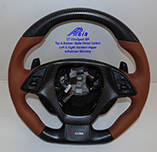 You can choose the material from Black Carbon, Silver Carbon, Titanium Carbon or Wood. We are very strong in Corvette. 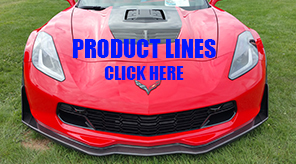 We have developed many products for Corvette community including C7, C6, C5 & C4 from interior to exterior and under the hood. Just a quick browse to our web you will see those amazing products. We invite you to browse our huge selection of auto accessories. 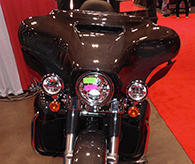 Most of the parts we have inventories for immediate delivery. piece you have been looking for to give your car some added appeal.